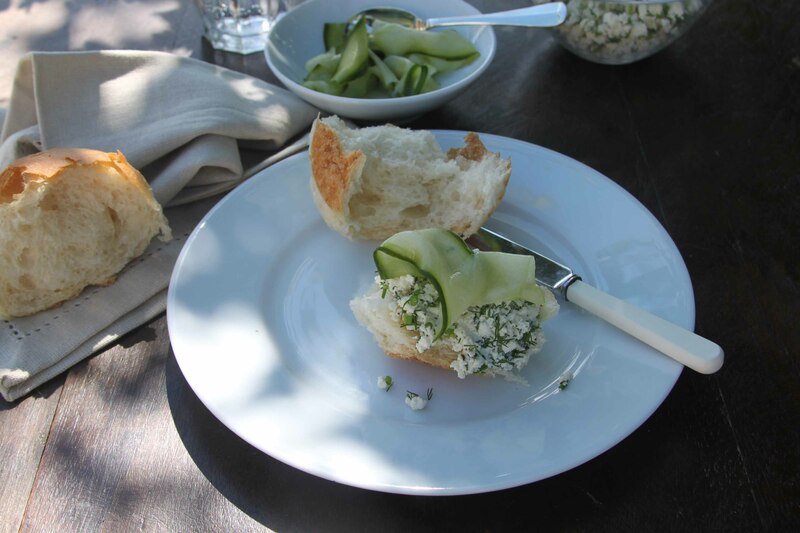 This entry was posted in Food, Salads, Vegetables and tagged herbs, pickled cucumber, Ricotta by Anna. Bookmark the permalink. That is so my kind of dish! 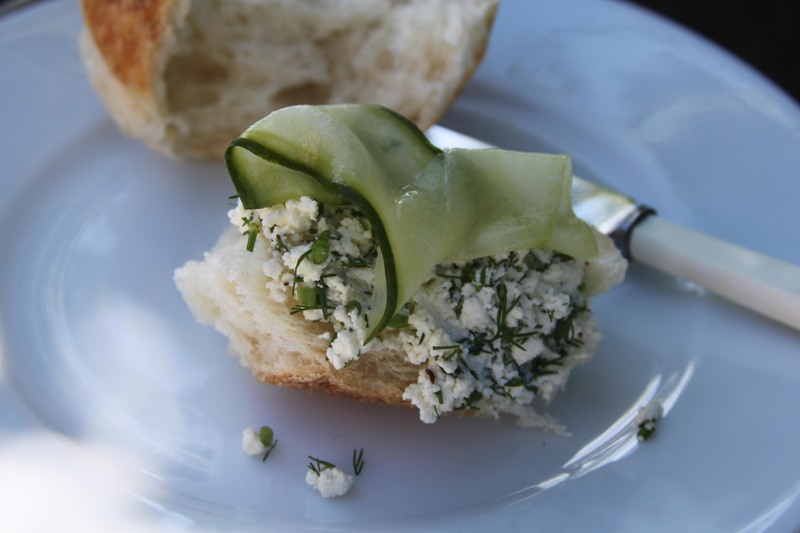 I bet the creamy herby ricotta is so good with the bright kick of the pickled cucumbers… yum! One of the recipes where I’m like “Why didn’t I think of this?”. What a genius idea… gonna try tomorrow with some homemade pickles! Thanks Pamela, I often see recipes and think that! Seriously delicious looking and sounding!! Damn delicious and simple recipe…..
just perfect for a brunch in a sunny tropical country like here in Indonesia! Oh yes, just the ticket with cool crunchy cucumber on top! I’ve never attempted making ricotta before, but you make it sound so easy that I think I need to try it, it looks lovely! I never thought I would make it myself but it really is simple and so worth it! What an interesting little appetizer! I’m very impressed that you made your own ricotta cheese! Never thought I would but it is so so easy and totally different to what you can get in the supermarket. Always looking for something nice to take to work, this looks delicious and I’d certainly look forward to lunchtime! Be a lovely packed lunch to look forward to especially with some pickled cucumber or onion on the side! This looks wonderful and really refreshing. wow homemade ricotta! It must be very fresh and esp. delicious with fresh herbs. It is so fresh and delicious and use whichever herbs you prefer! Hi Anna May, lovely recipe, you make the ricotta sound so easy to make, will have to try. Love this time of year! It is so easy – I couldn’t believe it until I made some and now I can’t stop making it! It is also great on pizzas….